The Southside Rydaz was a sister Club formed by Central Florida Rydaz President and Vice President up in Jacksonville Florida. Times got rough back in Lake County, Jesta relocated to Jax for work and DGAF went with him to let the hostilities die down back in the LC. Once in Jacksonville they met up with a lot of Juggalos including The Southside Joker. 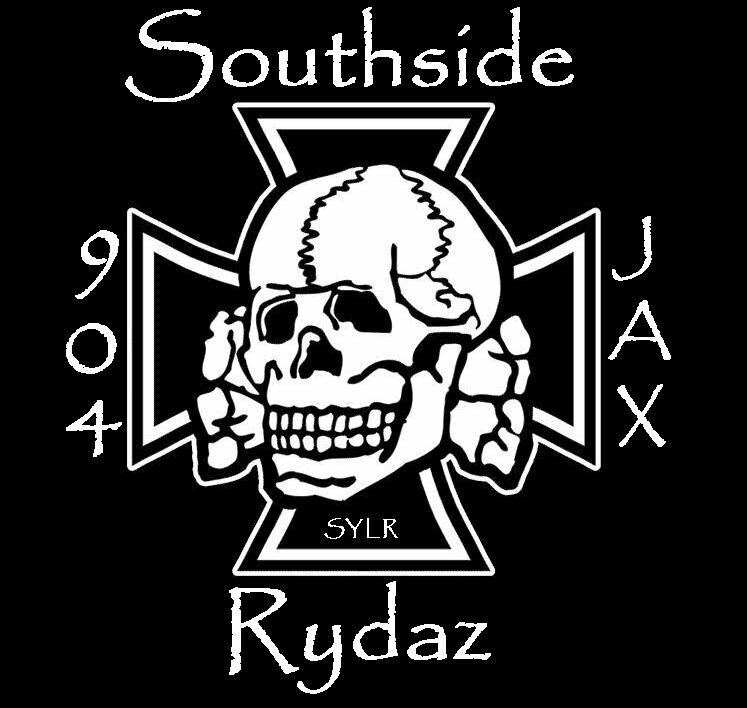 Since the new "Chapter" in Jacksonville, couldn't really be part of the "Central" Florida Rydaz, but wasn't large enough to become "North" Florida Rydaz, they decided on the Southside Rydaz, as most the membership was on the South side part of town. They continued to represent the Underground Lifestyle, and support the Club sponsored record label "Ministry Recordz", but when DGAF was hit by a car and hospitalized, things fell apart. He moved back to Central Florida, Jesta soon after. Joker moved away and as of 2012, The SS Rydaz had merged into a motorcycle club, with former members of the J-Ville Riders. But eventually stopped supporting the CFR, and had their own problems with the rise of the Outcast MC. And as of late 2012. the SS Rydaz ave disbanded. Members have moved away, or patched over to other local Clubs. It should be pointed out that this Club was founded as a Juggalo Only Club (The CFR is not) but eventually moved on to non-juggalos, eventually adopting the Iron Cross logo, and adding SS for the Southside, it was NOT meant to be a racist Club and the CFR would never support a hate group or allow a hate group to support us.